I love swap meets. Big or small, swap meets give me a chance to see some cool stuff, and possibly buy it if the price is right. My dad raised me to go after a good deal, so I’ve been going to swap meets with him for as long as I can remember. From the good ol’ days at the Corvette Expo (when it actually had a great swap meet) to our most recent adventures, my dad and I enjoy hunting down a good deal. 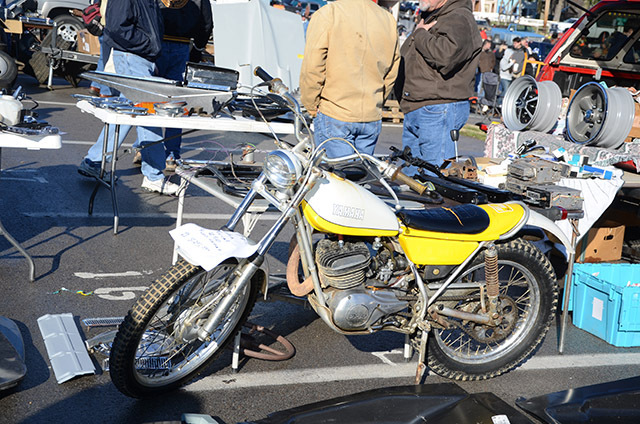 Vintage Japanese motorcycles are really picking up steam in the collector market and this trials bike was way cool. It was in great shape and had a price tag of $825. Very cool piece. This guy had a pile of Drag Mag wheels, but this one was an odd ball. The filled-in spokes are pretty cool, but I couldn’t find any markings on this particular wheel. If they had bee 15’s, I probably would’ve bought all of them. 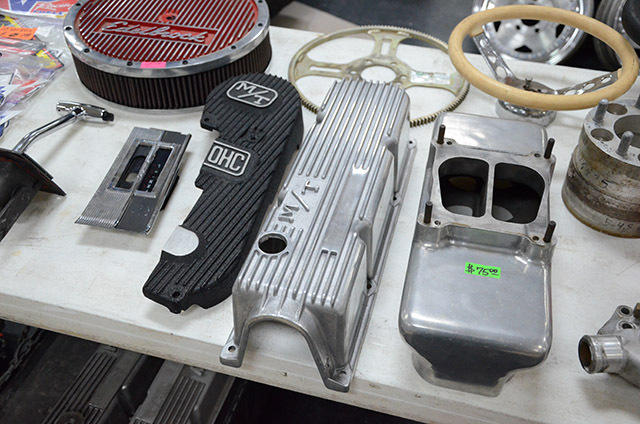 I always look at vintage speed parts, even if I know I can’t afford them. 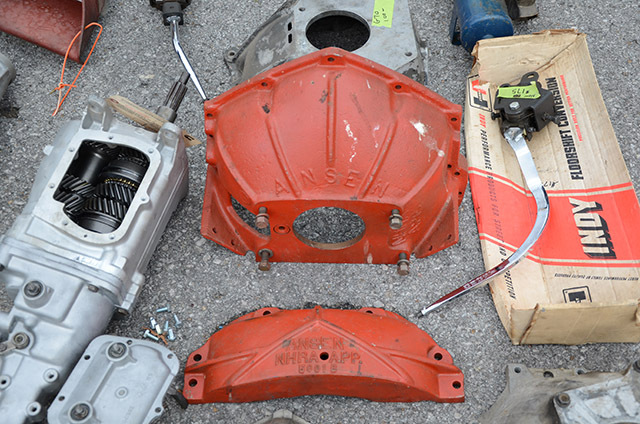 Some people know what they have, and some people don’t…that’s the beauty of a swap meet. 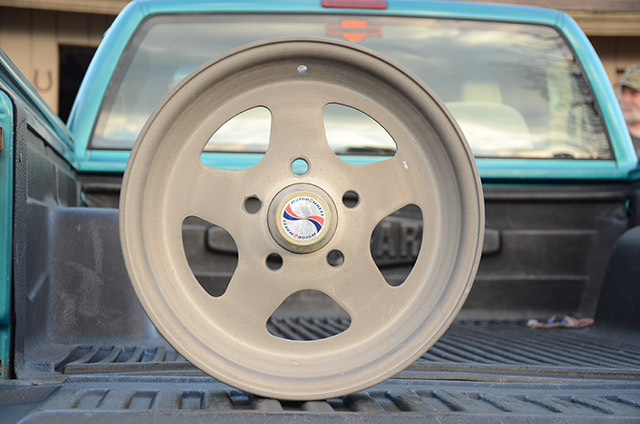 Vintage drag racing wheels are my weakness though, and my dad is also on that bandwagon. Unfortunately, my dad and his friends probably “gave away” more vintage wheels that I could ever buy. As we made our more thorough pass through the outdoor portion of the swap meet, I spot the beautiful crustiness of magnesium hidden behind a box of random parts. Ahhhh, yes, a pair of Motor Wheel Fly front runners! Since it was later in the day, and they were still there, I assumed the price would be outrageous. To my surprise, the price was reasonable, but the guy knew what he had. We negotiated on a price, and then shelled out some cash. I couldn’t afford it, but I really liked this vintage Ansen two-piece bell housing. And here is our score! A pair of 15×4 magnesium Motor Wheel Fly front runners. Complete with the hard to find plastic center caps! The Fly wheels are pretty rare, and they are BY FAR the lightest wheel I’ve ever picked up. Most magnesium wheels are cast, but Fly front runners are spun magnesium. This makes them much lighter, but also makes them more fragile. They happen to be the correct bolt pattern for the Corvette, but I just don’t want to chance it. Anyway, that’s pretty much all we bought, but it was a great swap meet. 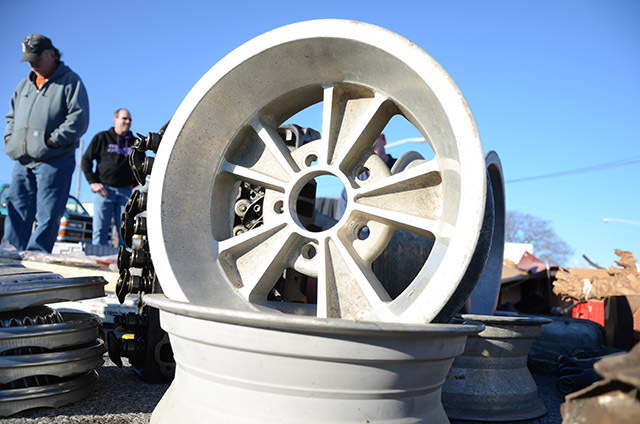 It’s a must-go every year and this year, we scored some great vintage race wheels! This entry was posted in Events, General Post and tagged byrd photo, drag car, fly wheels, front runner, gasser, light wheels, magnesium, motor fly, motor wheel fly, motor wheels, nashville, pro stock, swap meet, tommy lee byrd, vintage race wheels by Tommy Lee. Bookmark the permalink.